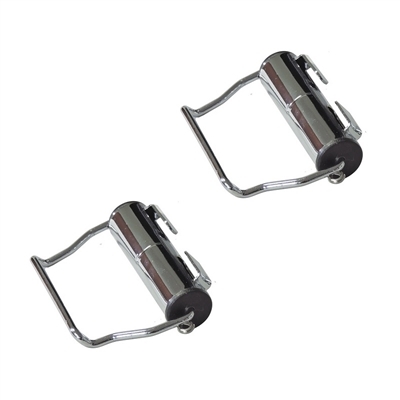 Keep it neat with these handy chrome seat belt retractors. Rolls up belts to keep them from falling out when you open the door. Great for rear seats, too. Classic styling looks great in any vehicle. Sold in pairs.